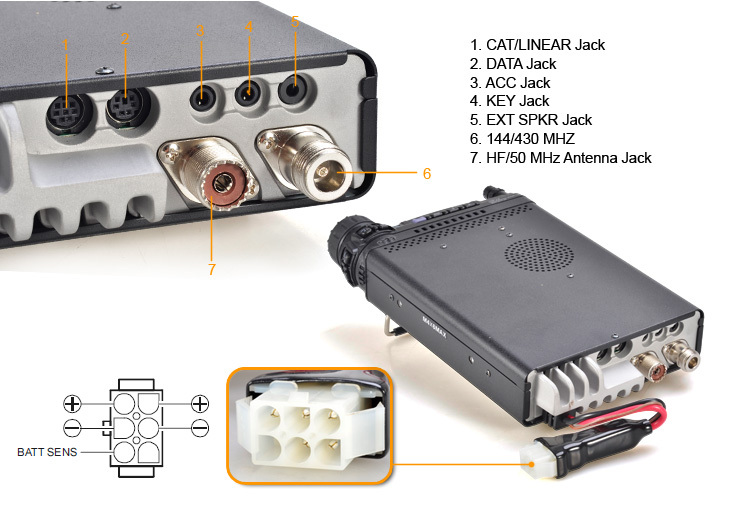 The FT-857D is the world's smallest full-power HF/VHF/UHF multimode transceiver, offering exceptional performance, ergonomics, and operating convenience for the active mobile operator. 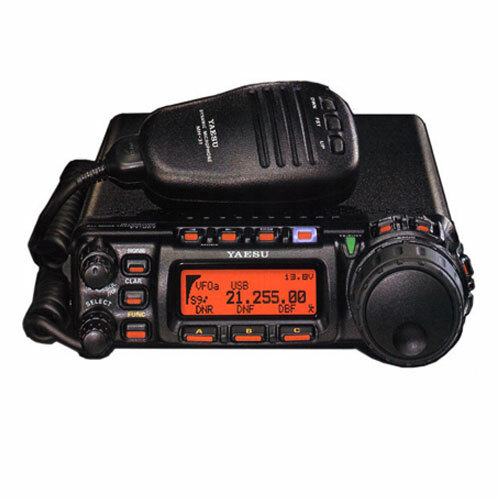 Providing 100 Watts of power on HF/6 meters, 50 Watts on 2 meters, and 20 Watts on 70 cm, the FT-857D is also ideal for vacation, DX-pedition, or home use when space is at a premium. Borrowing its receiver technology from the renowned FT-897 and Mark-VFT-1000MP, the FT-857D features wide dynamic range, a high-performance noise blanker, and outstanding audio. The wide array of convenience features on the FT-857D includes a 32-color display; optional Digital Signal Processing; built-in keyer with three memories and beacon mode; 200 memories with Alpha-Numeric labels; U.S. 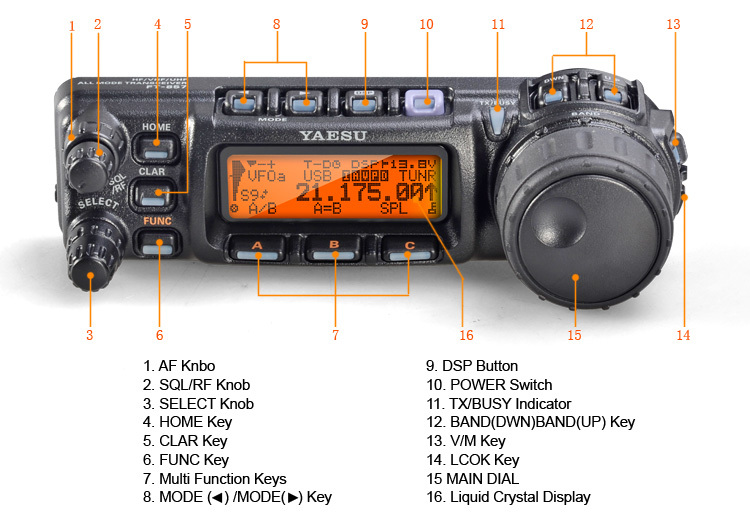 Weather Band reception; AM Aircraft reception; detachable front panel (optional YSK-857 required); and much, much more.